A must see production in an election season that often feels like a real-life Halloween horror show. With this modern-dress version of “Macbeth,” Theatre Y reconfirms its status as one of the city’s most adventurous troupes and a conduit to the European performance scene. "In this time of very fragile moment in the USA...I propose in the city of Chicago to share an underground nightmare. The [U.S.] election is a time where we can [approach] a lot of themes", explains French director Georges Bigot. "Manipulation, Power, Truth, Lie, Shadow, Light...and also Fear. It is the reason why I propose to Theatre Y to create an ensemble and to work on this tragedy of MACBETH; a tragedy where each word is a painting. It is a monument of art...to our basic fears and terrors. It is very important to share...and to talk about all this fear." "This production of Macbeth is the fruit of a laboratory that began a year ago and which is still ongoing. I wanted to import the spirit of an ensemble that would “do theatre in the Public Service," a spirit I first encountered at the Théâtre du Soleil in Paris, but which I recognized instantly in the artists I was able to gather at Theatre Y. Macbeth is a chance to forge this group with actors at all levels who share the desire to make an ensemble -- and for the audience to add its own strength to the mix. In the process of creation, and in the hopes of avoiding the traps of a conventional production, we come back incessantly to the reality of who we are. This is our strength. When we produce Macbeth we take up a challenge that sixteen generations of actors and audiences have set for themselves: we strive to bring the Thane to our world and ourselves to his. To succeed we must confront our ancestral legacy of basic fears, fears which are incessantly manipulated and intensified by people in power: the fear of death, the fear of the unknown, and the fear of night. Humanity will never exhaust the monument that is Macbeth; nightmares will remain for ages to come. But our particular nightmare clears the air -- and links us to a multi-generational undertaking. Macbeth will continue long after we’re gone, but having been part of it, having tasted this particular Scotland; we’re less traumatized by this fear of death." “Here may you see the tyrant” (5.8. 23-27). 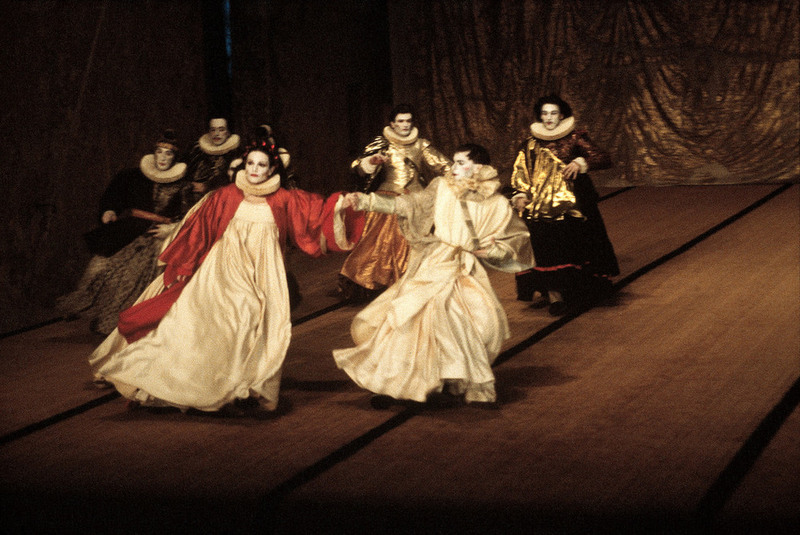 An iconic figure to Ariane Mnouchkine’s Theatre du Soleil and one of France’s most lauded contemporary actors, Bigot brings his lifelong experience and hallmark style of highly physical ensemble work to direct MACBETH, featured as part of the Chicago Shakespeare 400 International Arts Festival. It is Bigot's' vision, and Theatre Y's hope, that, through an intimate staging of MACBETH, we can better understand our modern world, our politics, ourselves, and our interconnectedness. "For me, art and theatre belong to everybody. " 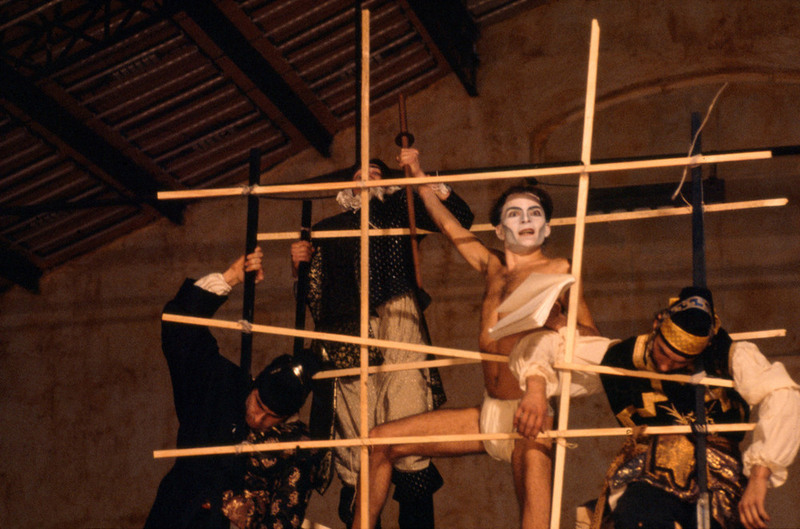 Georges Bigot has access to methods of production and rehearsal which are unique to the Theatre du Soleil, one of the foremost acting ensembles on the planet. In a landscape split by "either/or"s -- Bigot represents the possibility of "both/and." The Theatre du Soleil is both elitist and popular, both physical and verbal, both musical and literary, both traditional and modern. Combining globe-circling eclecticism with a profoundly local sensibility, the company was recognized as a French national treasure even as it borrowed styles and techniques from Japan, India, Cambodia and ancient Greece. His direction of a year-long project with an American company will call into question all of the habitual assumptions of American theatrical production -- including its economic assumptions. As at the Theatre du Soleil, the play will be chosen to complement the talents assembled in a three week Theatre Y workshop this fall. Georges will return in May for another four weeks of rehearsal, followed by six more weeks in September, and the show is set to open in October of 2016.
at the Théâtre du Soleil in Paris.